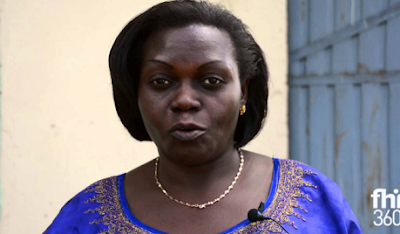 Uganda's health minister disguised herself as a patient and caught two medical workers demanding a bribe for free government services, she told AFP on Saturday. Health Minister Sarah Opendi said she wore a face veil and travelled to a hospital in the capital Kampala on a boda-boda (motorbike taxi) to disguise her identity. "I received many complaints that the staff at the hospital was extorting money from patients," Opendi said. She went through normal patient procedures for some laboratory tests for which she was told to pay 150,000 shillings (35 euros, $40) "yet these are all supposed to be free". "I told him I didn't have the money but he insisted." She was then sent to fetch the testing strips from a nursing assistant, who asked for money as well. "I paid her and thereafter I called in the police who arrested the two staff," she said of Friday's incident at the Chinese-built Naguru hospital. Deputy hospital director Dr Stephen Kyebambe expressed gratitude to Opendi for arresting the staff members. "The minister must be congratulated for unearthing this racket of extortionists at our hospital. We are grateful. Otherwise patients suffer in the hands of these cruel staff," he said.